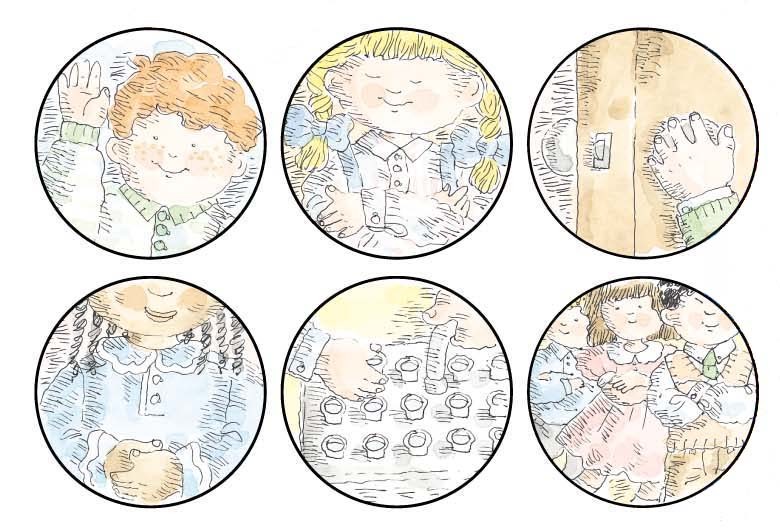 To prepare these hands to help you give a reverence lesson in family home evening or a talk in Primary, you will need: a pencil, three 8 1/2″ x 11″ (22 cm x 28 cm) pieces of colored paper, scissors, glue, and the pictures on this page. 1.Trace your hand twice on each piece of paper, then cut them out. 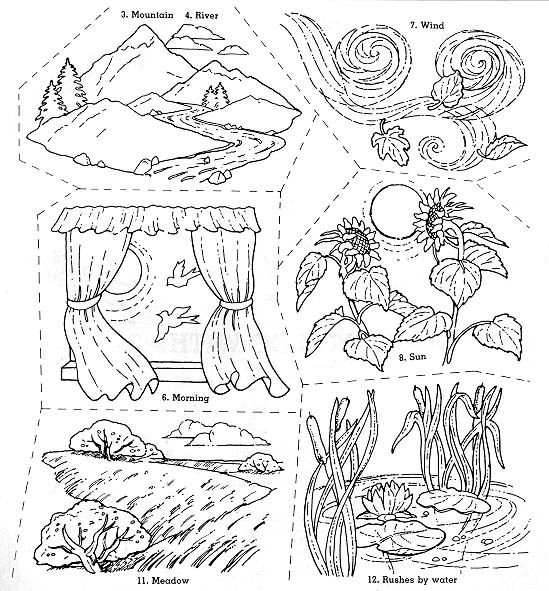 2.From this page, cut out the six pictures along the heavy black lines, and glue one on each paper hand. 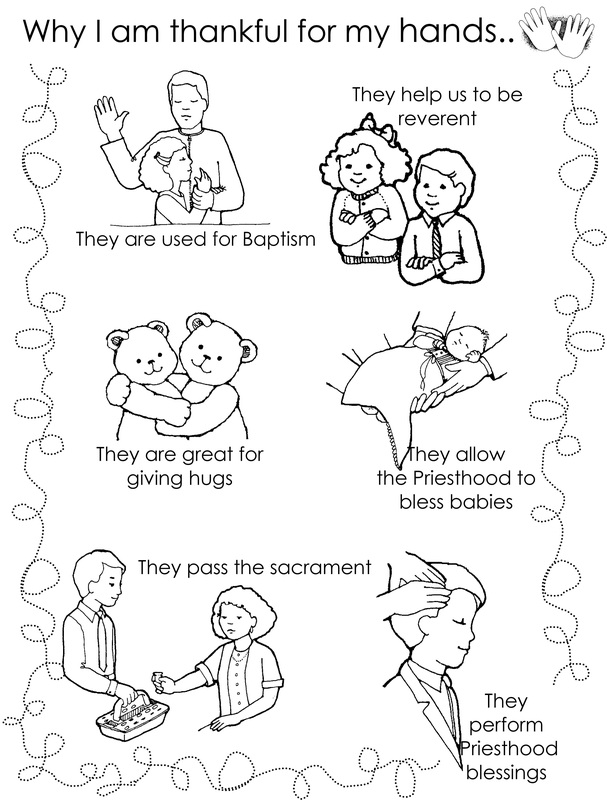 3.Use these reverent hands in family home evening or Primary to tell and show how we can be reverent in church.